For over 100 years, Thomasville has built furniture in styles to suit every taste. And cabinetry is no different. From traditional to contemporary, formal to casual, urban-country or Euro. Cabinet door choices include inset moulding, beadboard detailing, Shaker silhouettes, sleek slab fronts, traditional arches, and more. 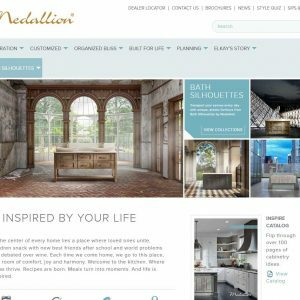 Select from alder cabinets, cherry cabinets, hickory cabinets, maple cabinets, oak cabinets, PureStyle™ laminate cabinets , rustic alder cabinets and thermofoil cabinets in finishes ranging from wood stains to paints to premium glazes. With so many options, where do you start? At The Home Depot, of course, where trained designers will work with you to create the plan that’s just right for you and your home. 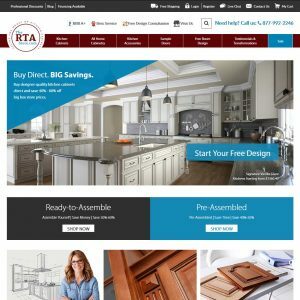 You can view actual wood and finish samples in the store; and don’t forget to ask for the Thomasville catalog while you’re there..
Thomasville Cabinetry are part of the Norcraft/MasterBrand group and are based out of Jasper, Indiana. I’ve had my Thomasville cabinets since 2003. Home Depot did install. Cabinets are beautiful and built well. Look as good as the 1st day. Warranty work cheerfully done. 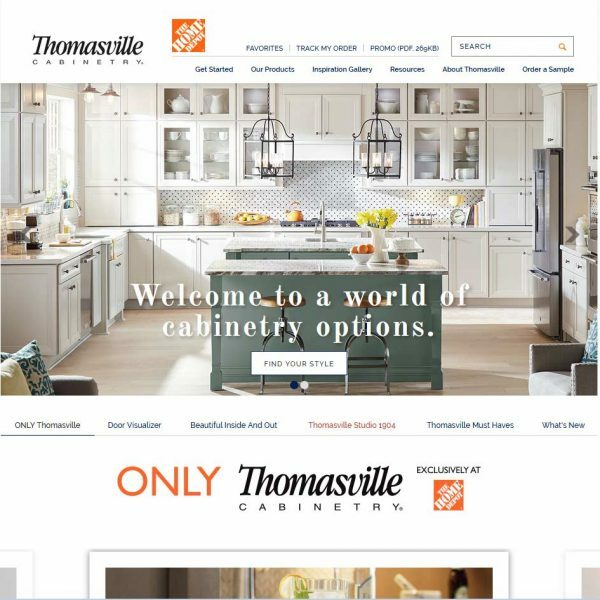 I ordered Thomasville cherry cabinets for my mother’s new kitchen through Home Depot. The quality of their hardware was fine. Their standards on wood quality and construction were both poor. The front of half of the cabinets I had ordered had 4 or more large knot holes (not pin holes) in them. Some were filled, others not. One drawer dovetail joint was cracked. One end cabinet side was damaged. HD reordered the defective doors, cabinets, and drawers for me but they delayed the project another 2-3 weeks. The regional VP of Sales visited me and he explained that the defects in the wood was within their quality standards. 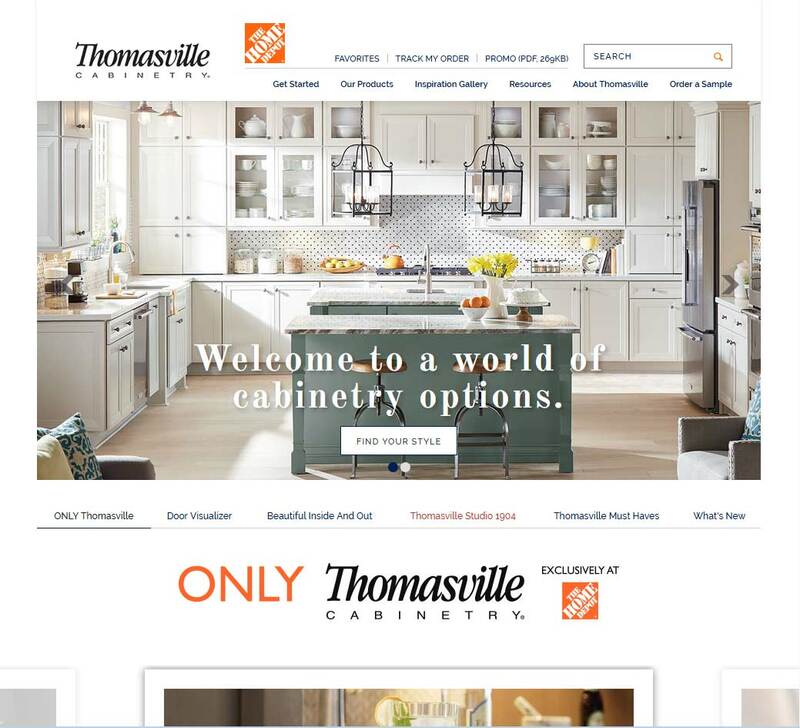 DO NOT buy Thomasville cabinets. Wall cabinets are junk. ALL holes drilled for pegs to support the shelves are at different heights. It is impossible to install stable shelves. Customer service as been TERRIBLE. Our Thomasville vanity arrived. We paid extra for better wood. The Drawers and slider are installed crooked. The cabinet doors have a numerous flaws inkling pits, gauges, scotches and dings. The filler boards are poorly stained. Thomasville obviously does not care very much about the craftsmanship of their products. We are very disappointed with Thomasville. at time of order I was told all cabinets were plywood constructed! they lied.. after 5 weeks waiting for delivery 8 of 21 pieces needed to be replaced. Thomasville rep even asked me if I wanted to fix the cabinets that were broken lol. after 5 more weeks waiting (was told they would expedite 3 weeks) they lied again…. they sent out more poorly built cabinets out of square, not glued, scratched, just poor.poor.poor workmanship. I could do the same work in my basement. as for customer appreciation they have none. its sorry about your luck sir but we do not have a compensation policy for providing you with garbage bargain basement cabinets and tying up your funds for three months not to mention three months with no cabinets in our kitchen. poor poor poor customer relations. never got a sorry sir either. I do not recommend Thomasville cabinets! Important: all reviews for Thomasville Cabinetry should comply with our review policies here.